Summer produce is at its peak! 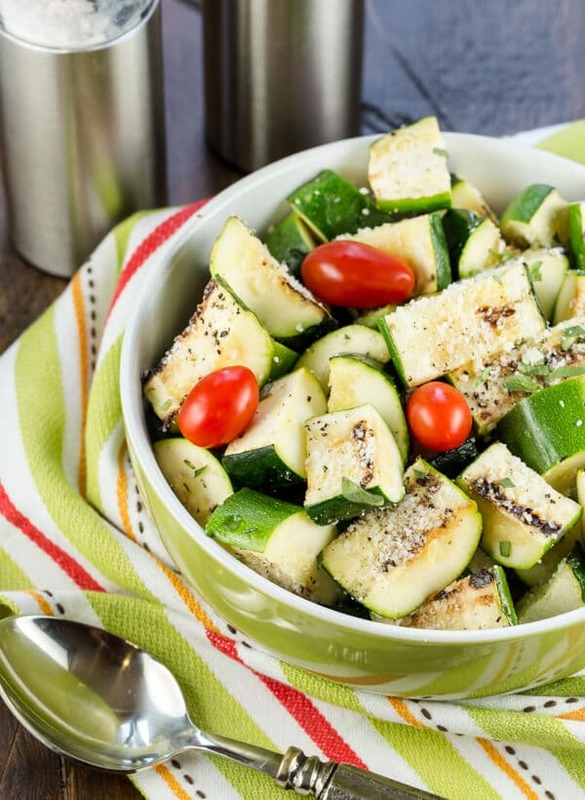 Grilled Zucchini is a simple side dish that lets all the flavors of summer shine through! Am I the only one who overbuys at the farmer’s market? My eyes are definitely bigger than my fridge and the fresh produce is bursting from the drawers. And on warm summer nights, I’m looking for easy side dishes that don’t keep me in the kitchen. 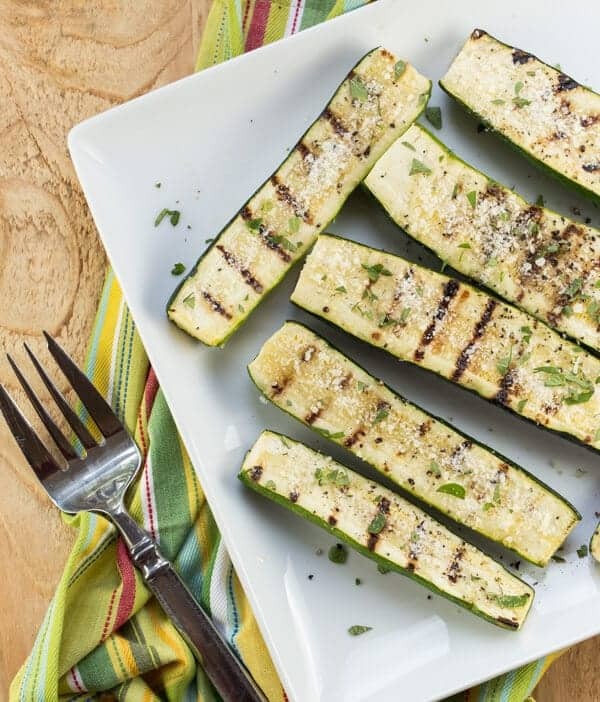 Enter Grilled Zucchini with Parmesan. If you are a regular Garnish with Lemon reader, you know we are huge fans of the grill like here, here and here. And zucchini is no exception. I love grilling mine. It still keeps a crisp bite (I’m not a fan of mushy zucchini), and this version is finished with a light sprinkle of parmesan and fresh oregano. Simplicity at its best. When you start with great ingredients, you don’t need to do a lot to them – just let the flavors shine through. Tip: Have some cherry tomatoes sitting on the counter? Cut the zucchini planks into chunks and toss them in a bowl with the tomatoes. Finish with a splash of white wine vinegar and a drizzle of olive oil. Instant summer salad. A simple grilled zucchini with parmesan side dish that is the perfect way to use the surplus of zucchini from the garden. Brush zucchini halves with olive oil and season to taste with salt and pepper. Place flesh side down on grill and cook for 3-5 minutes or until zucchini has grill marks, but still firm. Flip zucchini and grill for another 3 minutes. Sprinkle with parmesan cheese and oregano and serve immediately. We love grilled zucchini. Love your addition of parmesan. I mixed salt, pepper and garlic with about 2 tsps of Parmesan and I loved it. Thanks for the idea of adding Parmesan.